Research indicates that as much as $298 billion will be required over the next 20 years to keep stormwater systems functioning properly. Digital systems, like the Flo water security and management system, are designed to use algorithms to monitor water pressure, temperature, and flow rate, to help deliver maximum performance and efficiency. The ideal plumbing solutions—ones that mix durability, affordability, and efficiency—are in high demand in markets all over the world, both for new construction projects and for replacing old plumbing systems. To be eligible and available for those projects, your products will need to meet a local market’s unique requirements. CSA Group has the services to help you accomplish that, providing evaluation, testing and certification, and standards solutions for a wide range of plumbing products. Our services include certification for North American and global markets, sensor technology, low lead, and water quality, as well as cybersecurity and functional safety. Furthermore, you can gain the competitive edge of earning the WaterSense® mark, identifiable proof that your product has been independently evaluated and meets U.S. EPA requirements for water efficiency. A partnership program sponsored by the EPA, WaterSense® promotes water efficiency and water-efficient products, and we provide product certification services for a variety of plumbing products to WaterSense® requirements. CSA Group provides the extensive services and solutions you need to ensure your products are tested and certified, and we make the process efficient and simple. We work with industry-leading manufacturers and key associations, including PMI (Plumbing Manufacturers International), ASPE (American Society of Plumbing Engineers), and CIPH (Canadian Institute of Plumbing & Heating). 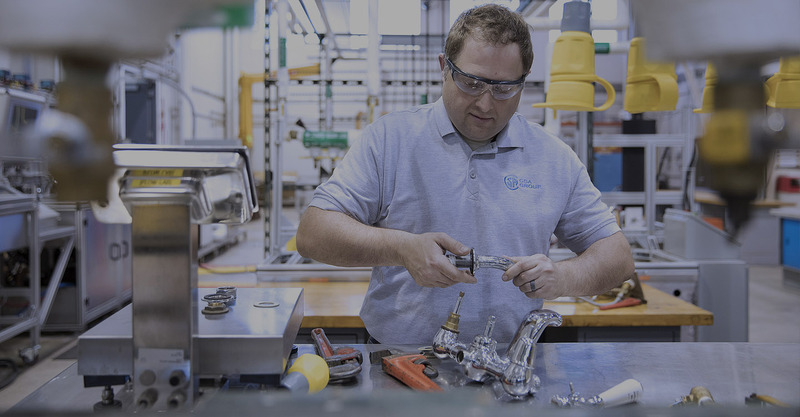 Wherever you manufacture your faucet, valves, shower, and other plumbing fittings and components, CSA Group offers testing and certification, standards solutions, as well as product evaluation solutions through our global network of offices and laboratories. 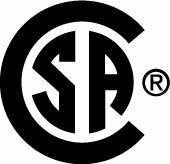 Give your lavatory, sink, toilet, shower, bathtub, and other plumbing fixtures a label that communicates compliance and quality to plumbers and customers all over the world—the CSA Group mark indicates thorough testing has been conducted. CSA Group has a robust international network of technical experts to support manufacturers of pumps and both plastic and non-plastic piping for both pressure and non-pressure applications, providing you with testing and certification, standards solutions, and product evaluation services. When you work with CSA Group, you’ll have the benefit of having your plumbing labels tested and certified, quickly and efficiently, by an unparalleled expert in the field. The right certification mark on your product can open doors to new markets around the world, but the key is to work with a knowledgeable third-party certification agency from the beginning of your product lifecycle. At CSA Group, we have extensive experience in developing standards for plumbing products in the U.S. and Canada. Many of those standards are harmonized with other standards development organizations to encourage wider adoption. The key standards we test against include ANSI, ASME, ASTM, ASSE, CSA, and NSF. Get the marks you need to access your target markets in North America with confidence.